In case you've been living in a bunker, eating cans of baked beans and watching reruns of Full House on VHS (no judgement here), you'll have noticed that the '80s came back*. In fact, if you're living in a bunker, maybe you think it's still the '80s. In which case come out of there! The water's fine, and very familiar. It's good to see the '80s back. We can get down with fluoro everything, un-ironic, iridescent round sunnies, and even hypercolour. But there's a particular piece of clothing that has long been labelled the most unflattering piece of clothing ever, and we wonder, is there a way to make it play nice and look good on the bodies of most ladies? Or is this one of those styles that you’ll let pass you by while you wait for the next, better style? 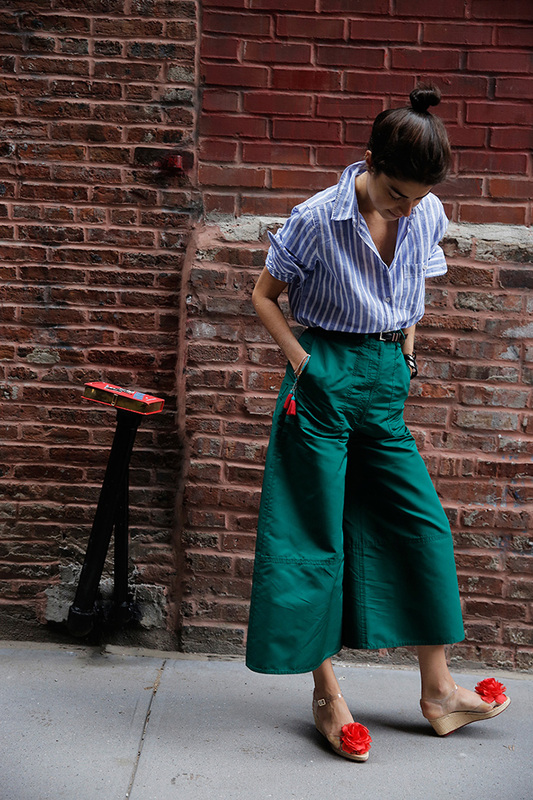 We're talking about culottes, people. High-waisted, wide-legged, mid-calf culottes. They're everywhere. We see them in the city with pointy stilettos and peplum tops, at the markets with little cropped tees and sandals, walking down any given fashion street with a snug mock turtle neck and ballet flats. *Note: The '90s also came back, but that's for another day. Want more fashion? Here are 8 Winter Scarves You Need In Your Life.